I genuinely love this time of year from November through the end of December. It’s always a busy time with cleaning, cooking, baking and shopping but I try to make it more simple each and every year. I’ve found as we’ve added more children to our family, my desire for a simple, easy holiday season swells. To help you make your holiday season a little more simple, I’ve put together a small guide for holiday stain removal . After your holiday feasting is over and it’s time to tackle that mountain of laundry, use this guide to eliminate your toughest stains. Use this method for gravy, sweet potato casserole, splatters from cooking oil or butter, greasy pan drippings from your turkey or ham, or shortening. Use the Blue Dawn method to eliminate these grease stains. Make sure you hang your garment to dry and do not put it in the dryer. The heat from the dryer will likely cause the stain to set and you’ll be stuck with it forever. If the stain isn’t removed the first time, try the Blue Dawn again and go through the same process. I’ve had success when trying to remove a stain the second time. Protein-based stains that can ruin your party clothes during the holidays are eggs and dairy products. Any type of cream based sauce or egg dish that spills on your favorite shirt needs an enzyme treatment to remove the stain. Also, mud tracked in on your favorite throw rug or blood spilled on a shirt are protein-based stains as well. To treat these stains effectively, you’ll need to do The Soak. It’s a little time intensive, but it is extremely effective at fading and even eliminating protein-based stains. If the stain is still there after hang-drying, then you’ll need to do a chlorine bleach soak if the item is color-fast. I’ve outlined specific directions in removing tea stains, which can easily be applied to wine stains as well since they are the same type of stain. Stains on a tablecloth or cloth napkins are a little bit of a different story when it comes to stain removal, only because the tablecloth fabric is more delicate than a cotton shirt or pair of pants. You need to treat linens carefully in order to keep them nice looking. 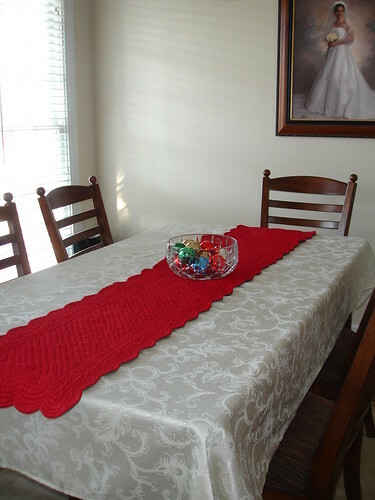 See this post on Caring For Tablecloths and Cloth Napkins for specific stain removal help for your holiday linens. « Should You Wash Sheets and Towels Together? I also have some Rit White Wash, but haven’t used it, as I don’t want to take the chance of completely ruining the shirt. The yellow has faded quite a bit but is not completely gone. I also haven’t tried ammonia, because I read that if it is an older bleach stain, the ammonia wouldn’t work.